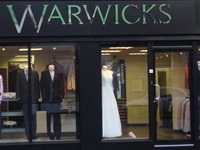 Our qualified seamstresses are available to alter any item purchased from Warwicks. 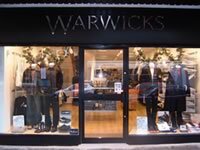 Mens suits, jackets and trousers can be expertly altered to fit. 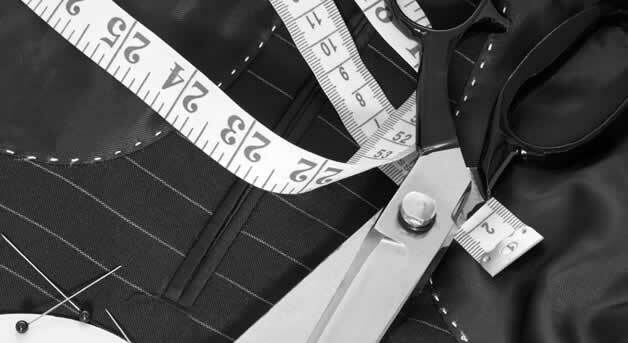 The leg length of trousers and the length of a cuff on a jacket can be adjusted to your measurements, also when purchasing a shirt we can offer a sleeve shortening service. We also make waistcoats, cravats and ruches, using your fabric if required. This is in conjunction with our Wedding Hire Service. Our alteration service is also available in the Ladies and Boys Departments. We offer special hire rates for longer periods, if required for cruises or wedding abroad. Identification and payment is required on confirmation of booking. Suits booked for wearing on Saturdays may be collected after 2pm on the Thursday before. They must be returned by 12.00 noon on the following Monday (except bank holidays) or an additional charge will be made. Our stores are located in Wellingborough, Northampton and Kettering town centres and we're open Monday - Saturday 9am - 5.30pm.